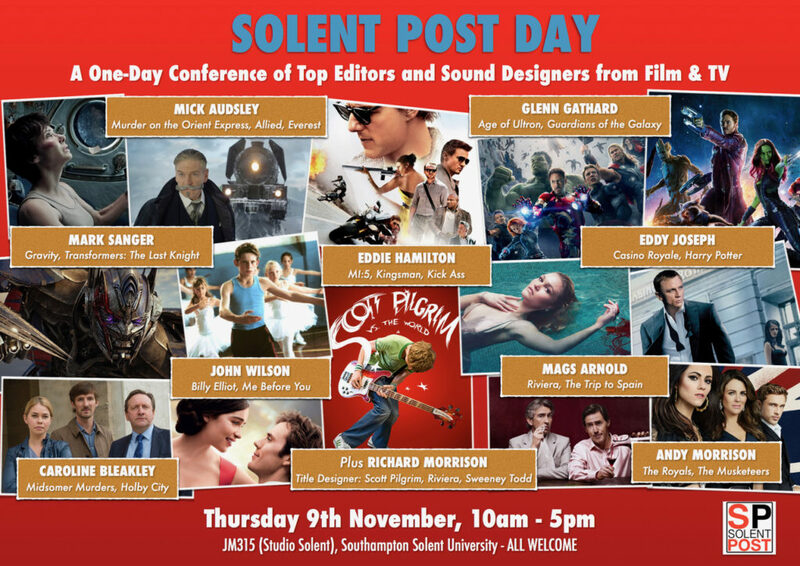 Solent Post Day, otherwise known as Edit Day, is a one-day conference showcasing the talent and behind-the-scenes process of many notable editors and sound designers from television and film. 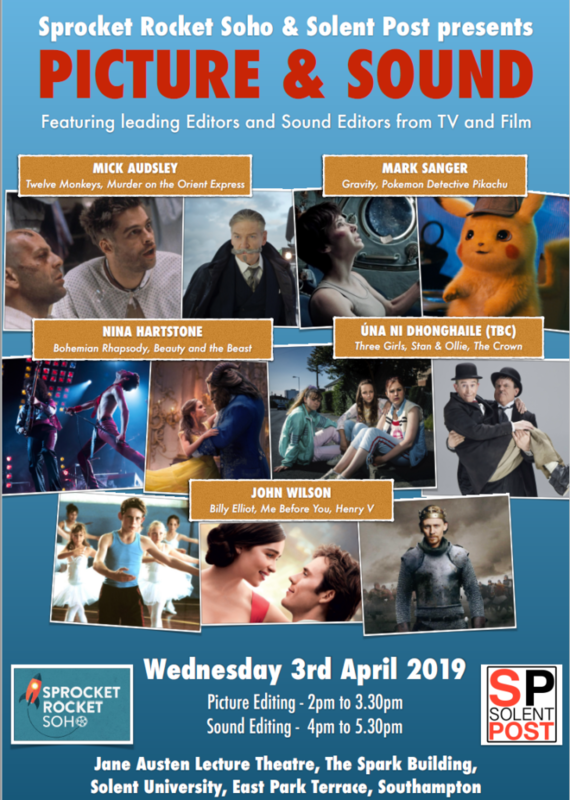 This year, students and the public alike had the opportunity to get inside the minds of industry professionals as: Melanie Oliver (editor of Bridget Jones’s Baby, Jane Eyre), Paul Machliss (editor of Baby Driver, The World’s End) and Eddy Joseph (sound designer of Casino Royale, Corpse Bride). Through going to this event, attendees were able to gain new knowledge of the industry, as well as receiving tips on how to be successful in an increasingly competitive business. The first conference was an interview with television and film editor Melanie Oliver and fellow TV editor Nick McPhee (Doc Martin, Downton Abbey) asking her questions. Oliver spoke with great respect for her mentor Jane Campion, whom she worked for as assistant editor on An Angel at My Table and The Portrait of a Lady. 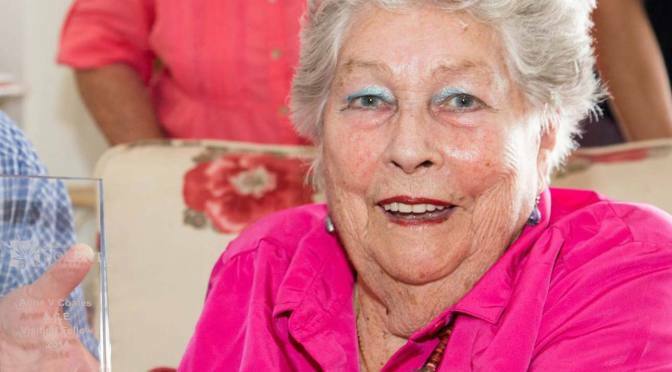 She told of Campion’s process for editing, in which she would create a map of shots to help her with organisation. Some of the key points to take away from Oliver’s conference were: if you want to thrive in this industry, you are going to have to learn how to handle criticism and that you should not disagree with directors’ notes unless you are entirely sure that you are making the right editing decisions. The next conference was a discussion between TV editors John Wilson (Downton Abbey), Caroline Bleakley (Midsomer Murders), Andy Morrison (Waterloo Road), Nick McPhee (The Durrells) and Adam Gough (Fright Bites). They each spoke of their entry into the industry, which varied greatly from person to person; in terms of their prior education and starting roles. 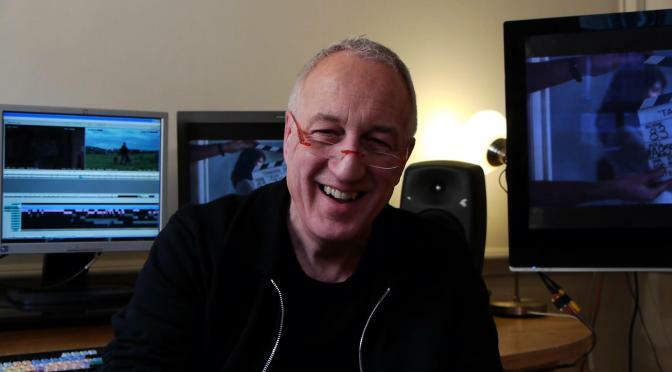 The editors gave helpful tips such as: treating every scene of a show as its own short film and work out how to fit them together after they are all shot and edited, and to start building up a library of foley sounds and music to use as temporary tracks during the editing process. Following that, there was a conference on sound design with Eddy Joseph and Alex Joseph (Charlie and the Chocolate Factory, Golden Years), who are father and son. They both discussed how they got into the industry, showing how they were getting into the family business, with Eddy Joseph’s father being Edward Joseph, a producer with credits In Search of Gregory and Harry Black. 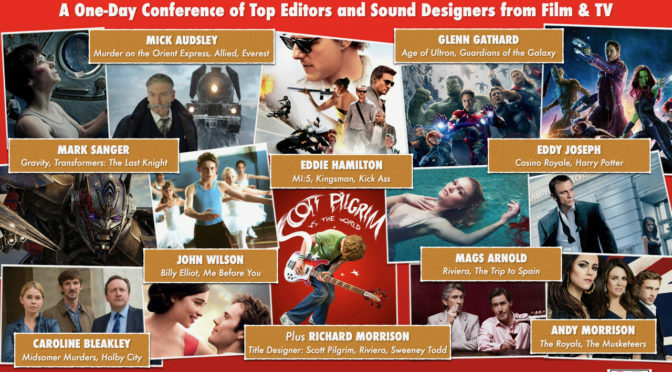 Personally, as someone who had never thought about sound in film, this conference was a real eye opener. Eddy and Alex went into depth about the importance of foley sound, the process behind creating it, and the journeys they take to find real life sounds that can be edited in to add emphasis to an important shot in a film. The final conference of the day was with film editor Paul Machliss, known for his work on Edgar Wright films as Baby Driver and The World’s End. 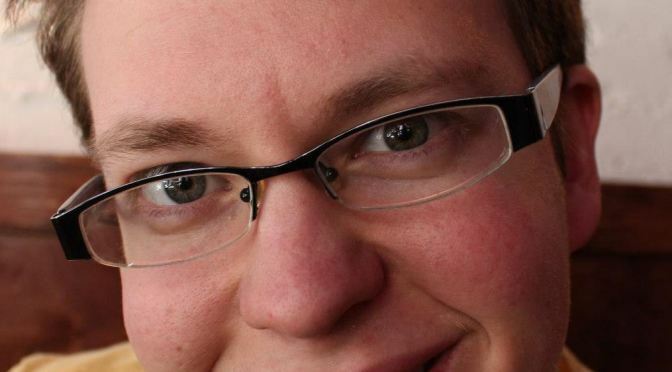 He told of his journey into the industry starting at the young age of 5 when he first stumbled across an old editing machine and immediately decided that this was the career for him. His humour and charisma brought a joyful atmosphere as he told amusing anecdotes of his journey and career. He too spoke of the importance of sound in film and how it can bring emotion or humour to a scene, which can especially be seen in Scott Pilgrim vs. the World which he also worked on. Attending this conference was a must for Film and TV students alike, who were able to gain a professional insight into the industry and insider tips on how to be successful in the world of post-production.